"Natives and Settlers provides a beginning to what should be (and should have been) a continuing, respectful discussion." -Blanca Schorcht, Associate Professor, University of Northern British Columbia Is Canada truly postcolonial? Burdened by a past that remains 'refracted' in its understanding and treatment of Native peoples, this collection reinterprets treaty making and land claims from Aboriginal perspectives. These five essays not only provide fresh insights to the interpretations of treaties and treaty-making processes, but also examine land claims still under negotiation. 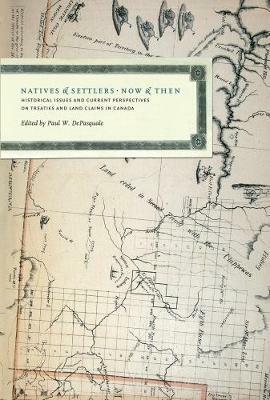 Natives and Settlers reclaims the vitality of Aboriginal laws and paradigms in Canada, a country new to decolonization.